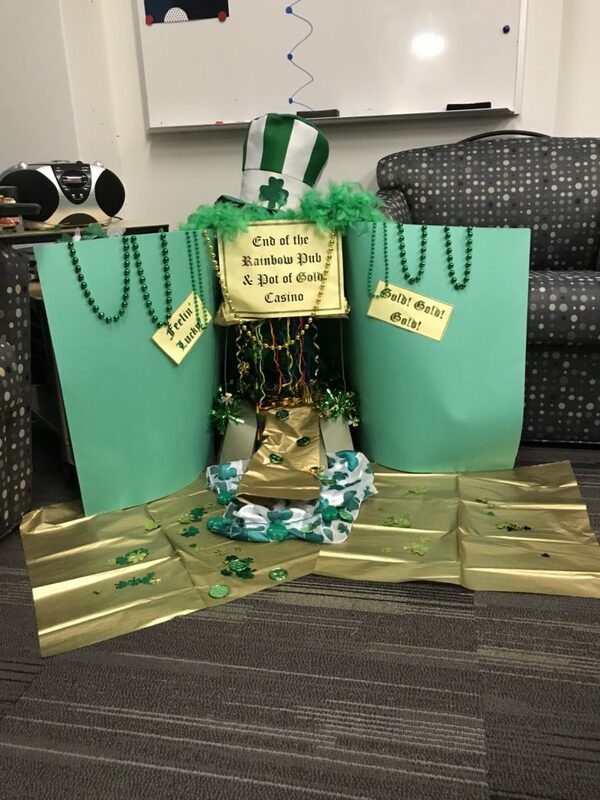 Four teams entered this exciting Team Building event and the results are outstanding as you can see from the photos below. 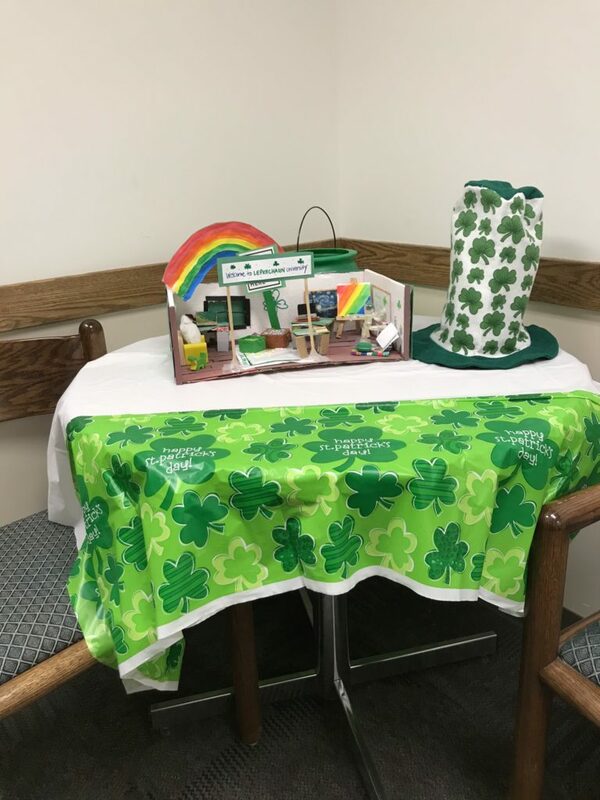 These photos were taken on Friday, March 15th, previous to the mischievous Leprechaun springing the traps. 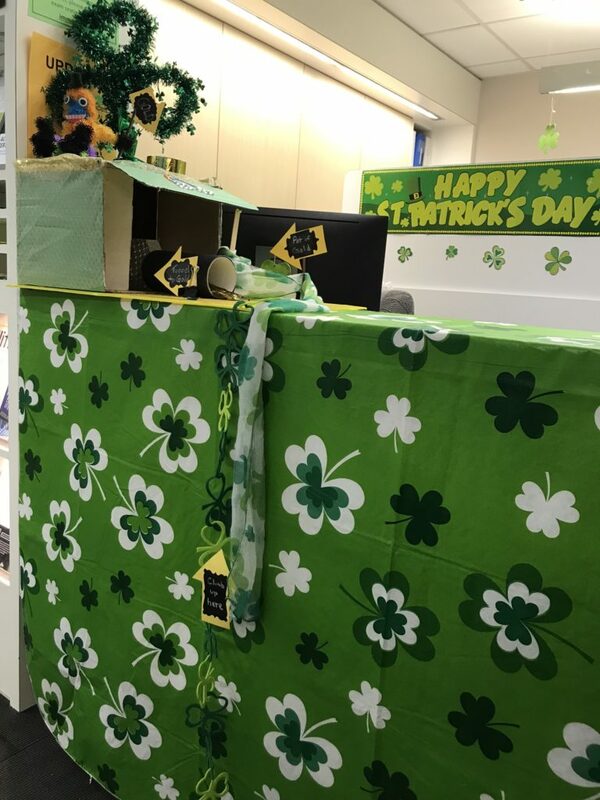 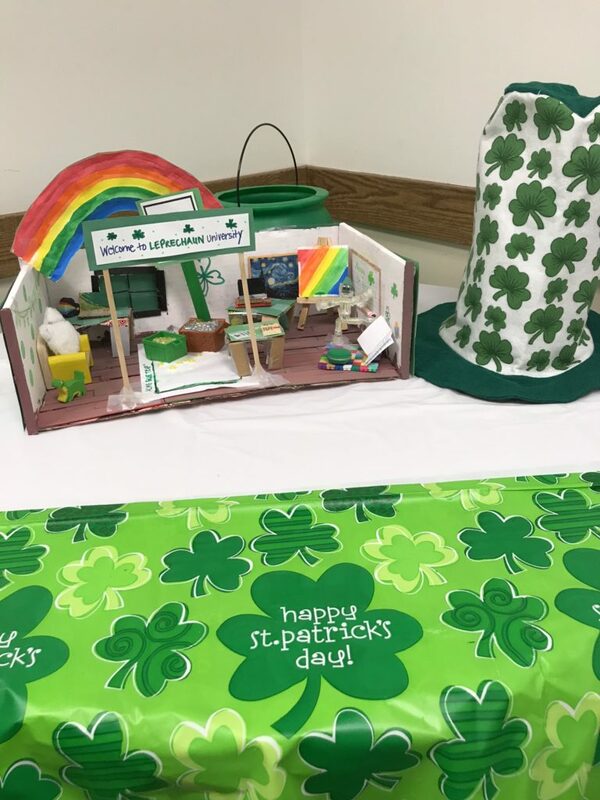 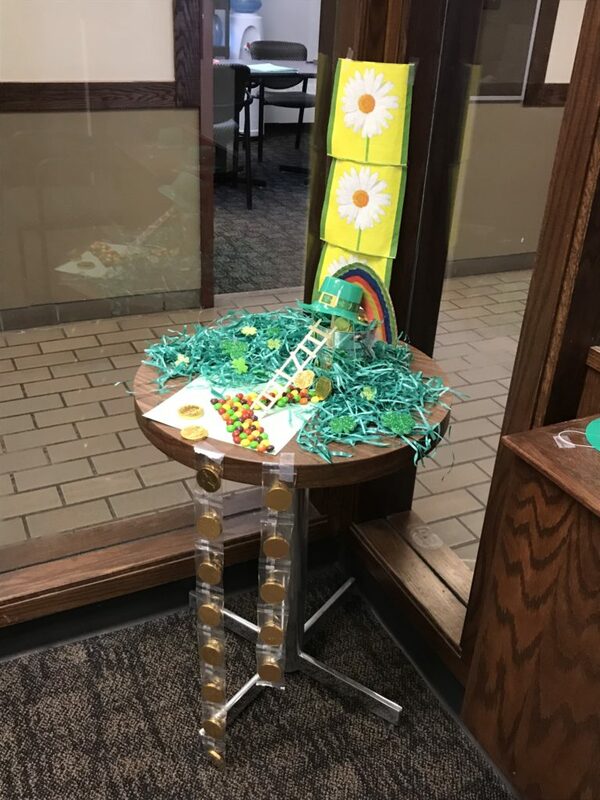 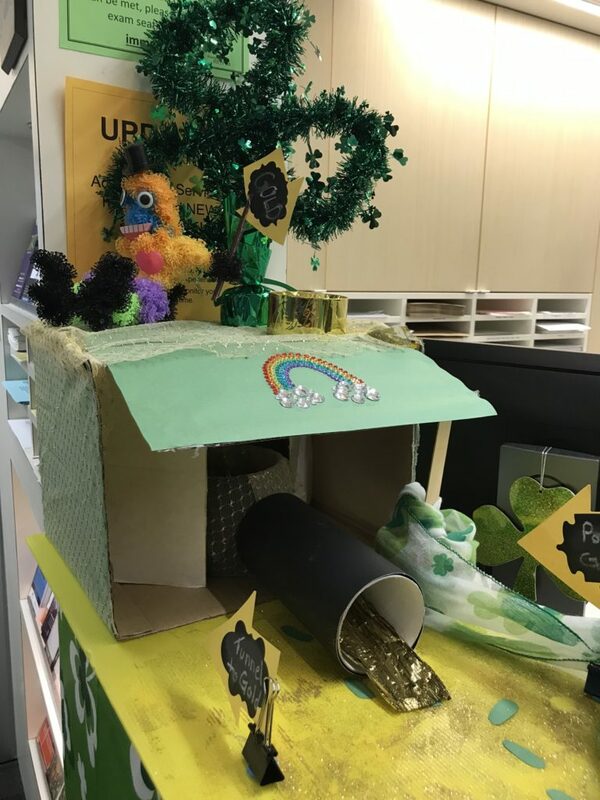 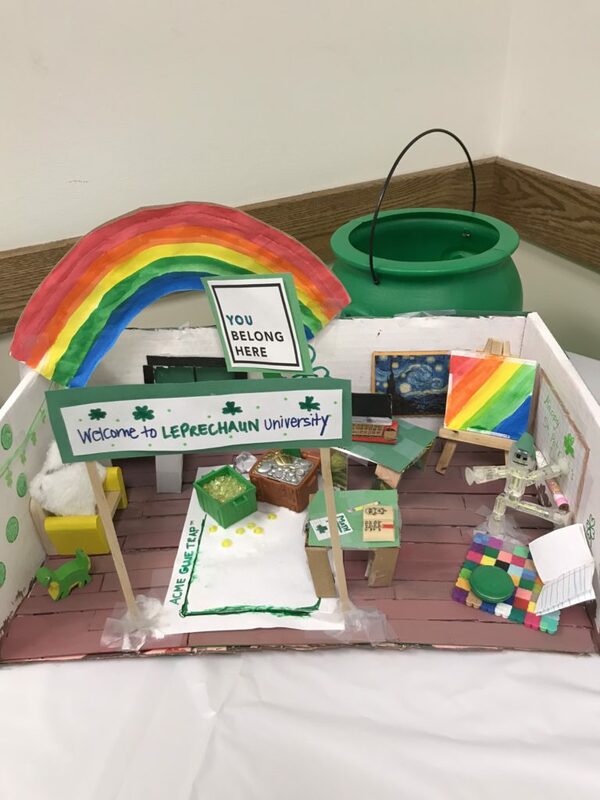 The teams arrived on campus this morning to find yummy chocolate coins and some minor disruption to their traps as the Leprechaun struggled to escape each one. 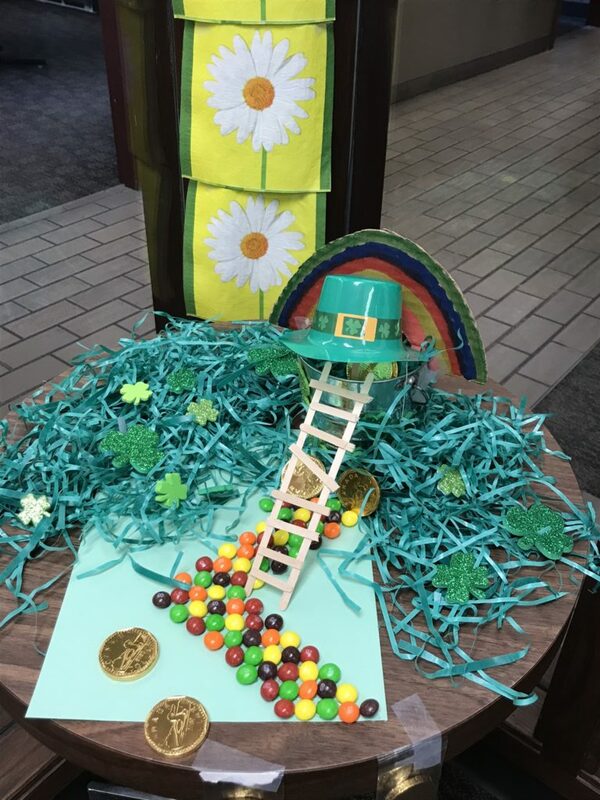 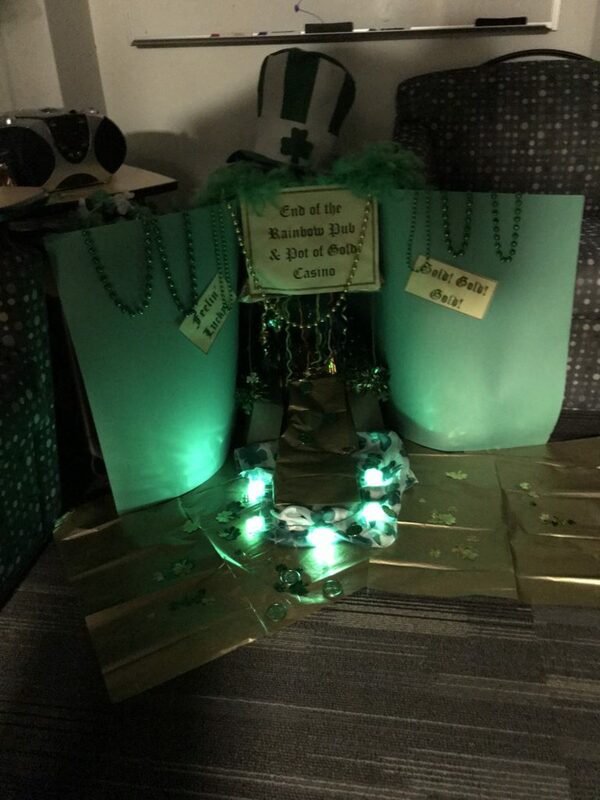 We are sorry to report that not one Leprechaun was caught! 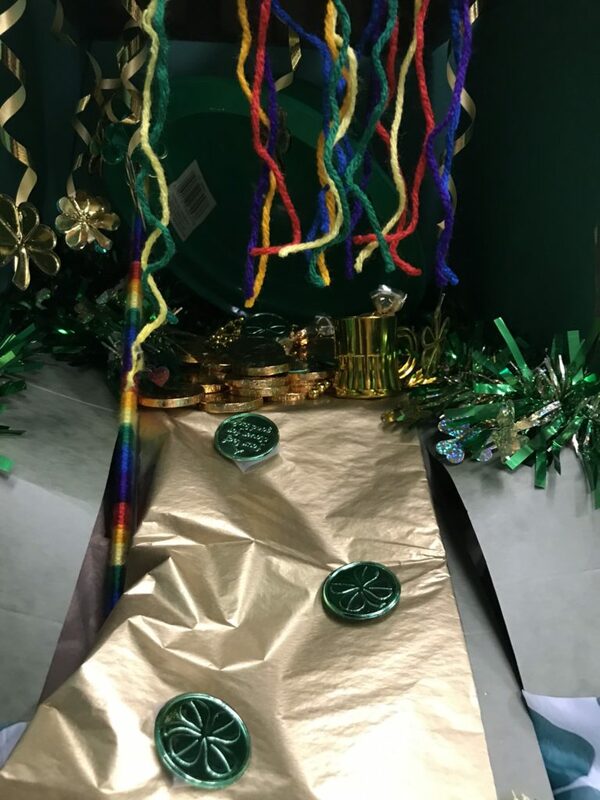 Thanks to all who participated in the mischief and merry-making!